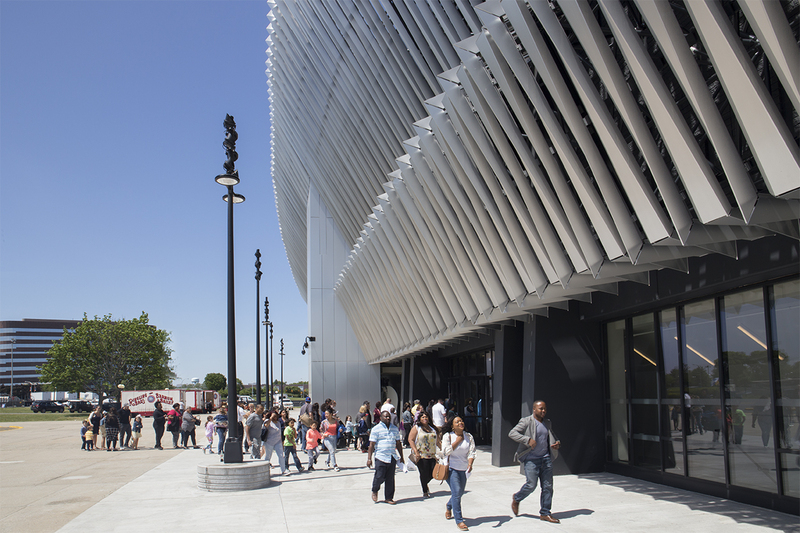 SHoP Architects brings aluminum luster to Nassau Veterans Memorial Coliseum - Facades+, Premier Conference on High-Performance Building Enclosures. 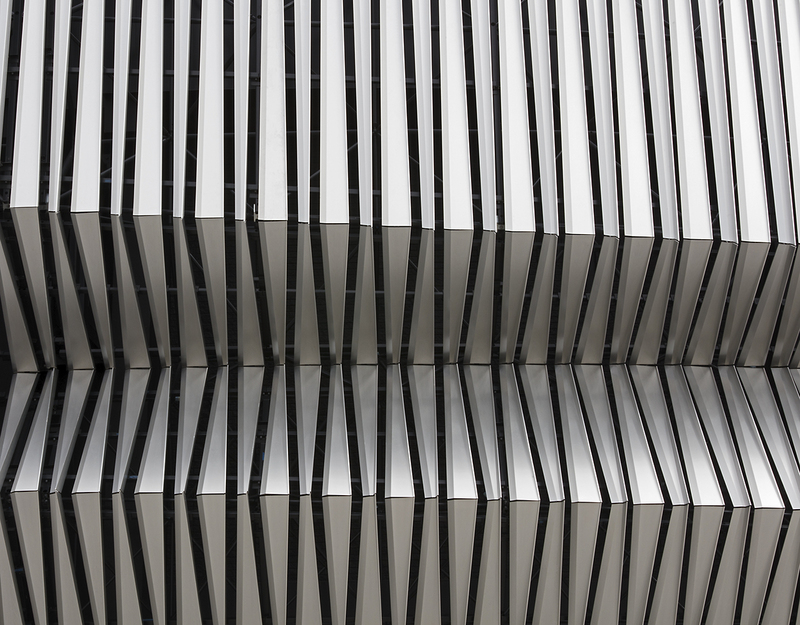 John Cicerone, partner at SHoP, told AN that one of the successes of the project is the new facade’s reflective effects that pick up on colors of the surrounding landscape. This is especially evident during sporting events where crowds wearing the home team’s colors reflect onto the facade. “Don’t ignore fabrication constraints and input from contractors,” Cicerone said. “An intelligence builds from doing other projects like this. While the componentry and hardware differ, the actual process of how you structure the model and develop methods of automation improves with experience.” The architects cite simple definitions which they adopted and advanced from prior projects which help to automate the generation of parts for geometrically complex assemblies. “This to us was a proof. It’s a great testament to not being surprised by the process,” Cicerone said. 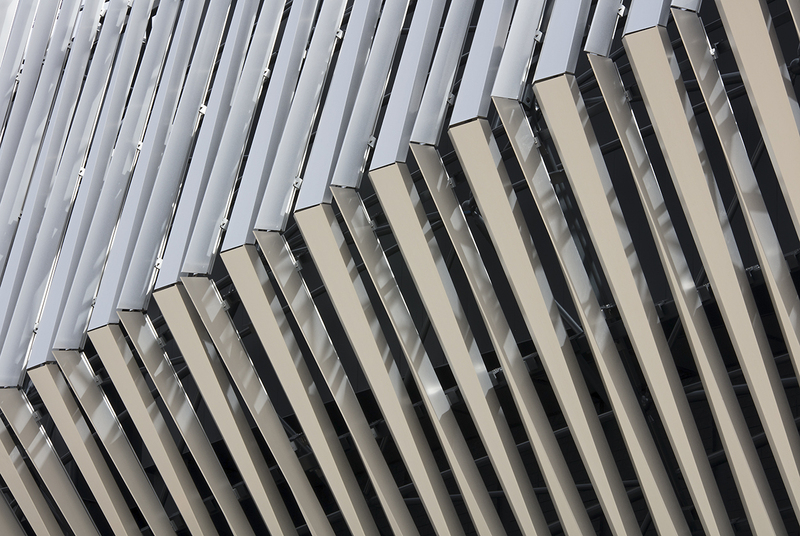 The design process for SHoP was initiated with a laser scan of the existing arena, resulting in a highly detailed topographic mesh surface that became the base geometry for forthcoming design and fabrication models. The framework of the new skin was designed as a long-span space frame, springing off massive existing concrete piers that were, in the words of Cicerone, impressively over-structured. The resulting structural subframe was assembled on the plaza level of the stadium and craned into place. Only 32 “mega-panels” were required.